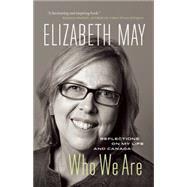 In this marriage of memoir and manifesto, Elizabeth May reflects on her extraordinary life and the people and experiences that have formed her and informed her beliefs about democracy, climate change, and other crucial issues facing Canadians. The book traces her development from child activist who warned other children not to eat snow because it contained Strontium 90 to waitress and cook on Cape Breton Island to law student, lawyer, and environmentalist and finally to leader of the Green Party and first elected Green Party Member of Parliament. As a result of these disparate experiences, May has come to believe that Canada must strengthen its weakened democracy, return to its role as a world leader, develop a green economy, and take drastic action to address climate change. The book also sets out how these goals might be accomplished, incorporating the thoughts of such leaders and thinkers as Rachel Carson, Jim MacNeill, Joe Clark, Chris Turner, Andrew Nikiforuk, and Robert F. Kennedy. The result is a fascinating portrait of a remarkable woman and an urgent call to action. Elizabeth May is leader of the Green Party of Canada and was the first elected Green Party Member of Parliament. Formerly the executive director of the Sierra Club of Canada, she lives in Sidney, British Columbia.